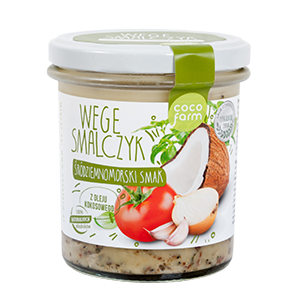 Coco Farm Vege spreads are made from the coconut oil derived from virgin farms of Philippines Archipelago. That is where, according to experts, the best coconut in the world are grow. 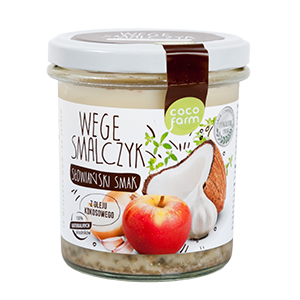 Coco Farm Vege spreads are a combination of unique properties of coconut oil, olive oil and aromatic assortment of vegetables and fruits. 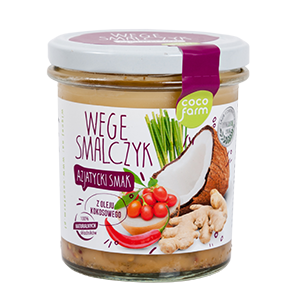 Perfect as a spread for break and grease for potatoes, groats, rice and legumes.